XDA Developer TV Producer Kevin, a.k.a. The Tech Ninja, is a bit of an phone automation expert. You can check out his Tasker Series to see all the great things he’s automated with Tasker and other automation apps. He’s done everything from basics such as turning off WiFi at work to controlling his Android device by voice. But that is not all he can do! 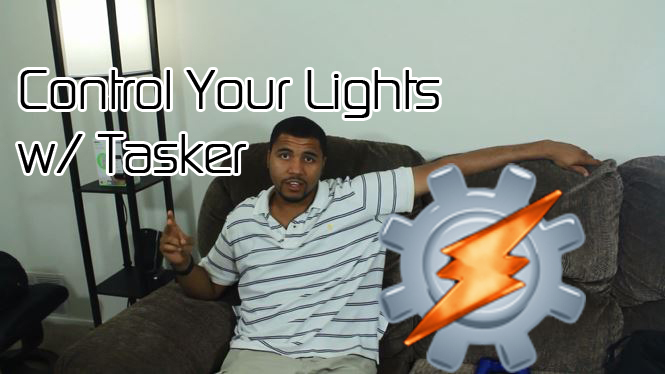 In today’s video, Kevin shows you how to turn on and off your lights with Tasker Automation and IFTTT. With the help of a WEMO device, Kevin shows you how to set up IFTT rules and Tasker task automation to have your lights turn on when you get home. Check this video out. Be sure to check out other great XDA Developer TV Videos and Kevin’s other videos.